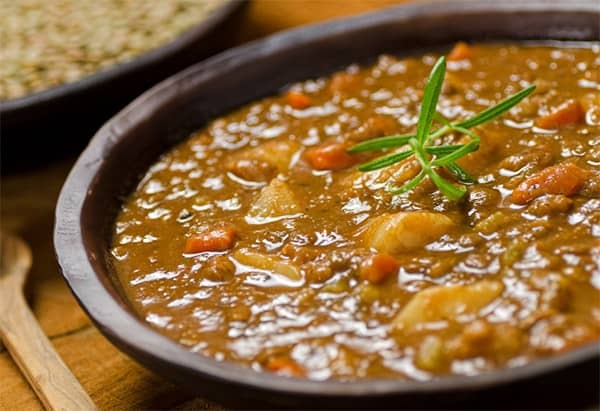 Another great way to use your lentils is to combine it with some onions, carrots, and corn to make a lovely, old-fashioned bowl of soup. Add some mixed herbs and a traditional Hungarian paprika for the flavour, and you’re ready for a light yet nutritious meal. In a large stock pot, bring eight cups water to the boil. Add onions, garlic, carrot, parsnip, celery and lentils. Add seasonings and mix well. Cover and simmer for one hour. Add corn and re-heat. Stir in parsley. (If you want a creamier soup, you can blend mixture in food processor before adding corn and parsley). A hearty filling soup for cold winter lunches. Serve with a slice of crusty wholegrain bread.